Discussions of recycling often seem like something new, tailor made for an age when we need to be more careful about our air quality and dwindling natural resources. But recycling has actually been around for centuries, even millennia. 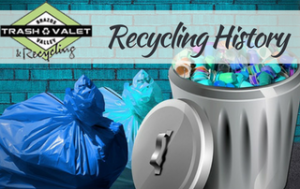 Over all that time, it’s risen and fallen in popularity for various reasons, but there have always been those concerned with conserving and recycling what they can. The first municipal waste dump that we know of was in Athens as early as 500 BC. It was a legal mandate that every citizen carry their waste to a dumpsite a mile outside of the city. Fortunately, weekly home waste was probably not as hefty then as it is now. People tended to live somewhat more sparsely. It wasn’t until 1031, however, that medieval Japan began the first instance of recycling. They recycled and repulped used paper and sold it back to local businesses throughout the country. Recycled paper was actually seen as more valuable than new paper and was often used for artwork or poetry. In 1690, the practice went corporate, as the Rittenhouse Mill in Pennsylvania began making paper from recycled fibers from cotton and linens. This paper was then sold to printers, so many Bibles and newspapers were made from recycled paper. After the Declaration of Independence, America was cut off from many of the supplies it got through Britain’s trade system. Out of necessity, we began to reuse, repurpose, and recycle what little we had. The Salvation Army was established in London in 1865, and much of their initiative came down to recycling. 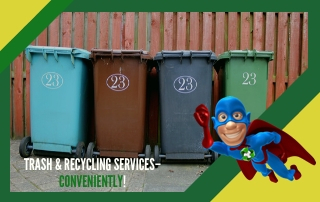 They hired unskilled workers to collect and recycle unwanted goods throughout England in order to help combat the serious poverty problem in the country. Within 30 years, The Salvation Army had come to America, as well, and continued the practice there. When America got involved in World War II, the military was in desperate need of ammunition. A cry went up for American citizens to donate tin cans, rubber, steel, and the like from their unwanted goods. These products would be taken apart and recycled to become guns and tanks. In a frenzy of patriotism during this heightened time, you could see signs promoting this all over the country — and citizens responded eagerly. In the 1960s, separate streams of curbside waste pickup became available and then common. Now families not only brought their trash to the curb but their recycling. This carried into the 1970s with the emergence of flower child culture and the first celebrated “Earth Day.” The “chasing arrows” logo — now famously associated with all things recycling — was created by an architecture student named Gary Anderson, winning a contest that was designed to create this logo and raise awareness about environmental issues. There was also a famous PSA with the tagline “People start pollution. 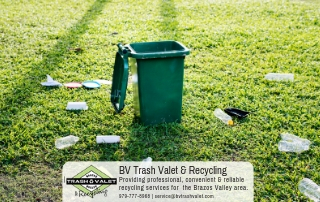 People can stop it.” By 1980, curbside recycling was mandatory in Woodside, New Jersey. 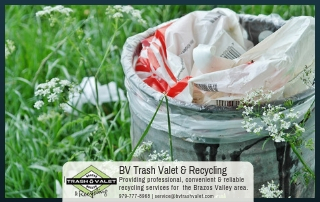 In 1987, a waste management scandal made headlines and many Americans became aware of just how massive our waste problem is. A garbage barge from New York City carrying 3,000 tons of trash was denied at its destination in North Carolina, for fear that there might be hazardous waste. A long trip back reached the news and more and more Americans were motivated to recycle. Eventually, the barge returned to Brooklyn and the garbage was incinerated. This incineration, along with landfills, is still a massively common practice today. 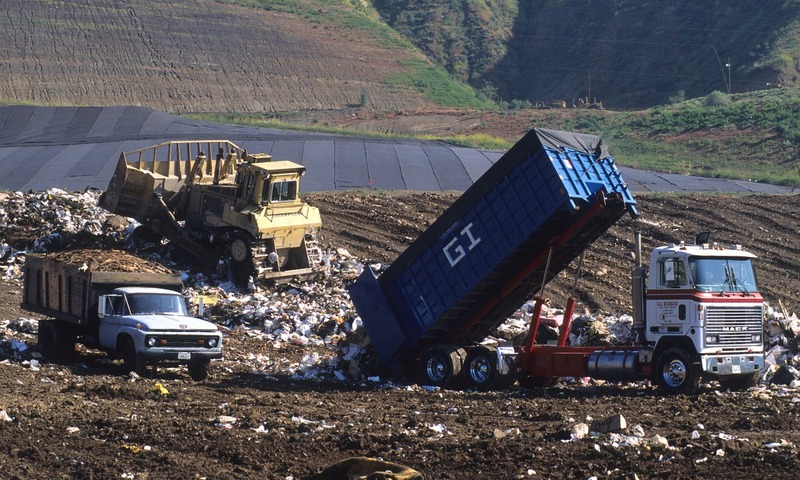 Single stream recycling systems were invented in California in the 1990s. 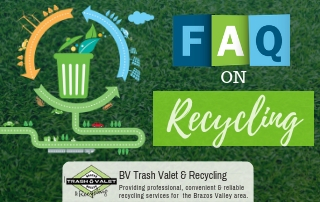 Through this process, all recycling materials are mixed in the collection truck and separated at the materials recovery facility. This made it less effort for residents who weren’t sure what recycling went where. It also reduced collection costs and made it so that more materials could be accepted.